Dr Mitesh Shah is a Consultant General Adult Psychiatrist. He has post graduate qualifications in Psychiatry and is an Associate Specialist to the Royal College of Psychiatrists. He has over 25 years’ experience as a Consultant Psychiatrist, assessing, diagnosing and treating Adult patients suffering from various psychiatric disorders. He works full time as a General Adult Psychiatrist in NHS. Dr Shah is able to assess and treat patients suffering from a variety of conditions, such as; Stress, Anxiety, Depression, Obsessive Compulsive Disorder, Panic Disorder, Post-Traumatic Stress Disorder and Bipolar disorder. Dr Shah incorporates Bio-Psycho-Social and Spiritual approaches in assessing psychiatric patients. He also uses these approaches to view patients in a holistic manner. He has keen interest in Mindfulness based techniques, spirituality, healing and compassion. Due to 25 plus years’ experience in working with psychiatric patients and their families, he has developed skills to establish comfortable rapport with both patients and their families. Dr Shah is described by his colleagues as a knowledgeable and competent Psychiatrist, with the highest degree of integrity and honesty. 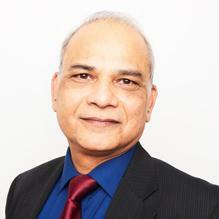 Clinical Partners are delighted to present Dr Shah as part of our well-established London Team. You don't need a GP referral to see Dr Mitesh Shah.